Description: Binary Dawn now requires Yitzi Patch 3.5 (and 3.5c or higher letter). 1. A reworked tech tree which allows earlier access to useful facilities like Tachyon Fields and delays discovery of certain projects like the Cloudbase Academy. Some of the techs have been renamed. For example, Centauri Agriculture allows access to forests, while Centauri Ecology permits Green Economics. 2. A revised social engineering system. Democracy is no longer the only feasible political choice. Less favored choices like Fundamentalist and Power have been boosted. The Future Society row has also undergone revision. 3. Rebalanced SMAC and SMAX factions. Aside from the Progenitors, all human factions should operate at roughly the same power level. Seven new factions, based around unusual gameplay options, may also be selected. 4. A redesign of the combat system. Choppers have reduced range. The AAA special ability appears welll before needlejets, so fighting an opponent with air power does not equate to extinction. Hypnotic trance and empath song are slightly less effective to empower PSI. 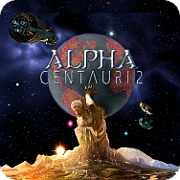 Binary Dawn includes many other features to improve the Alpha Centauri gaming experience. Try it out for a new take on a great game! hi, is this compatible with PRACX. Our ancestors harnessed the power of a sun, and so again shall we.